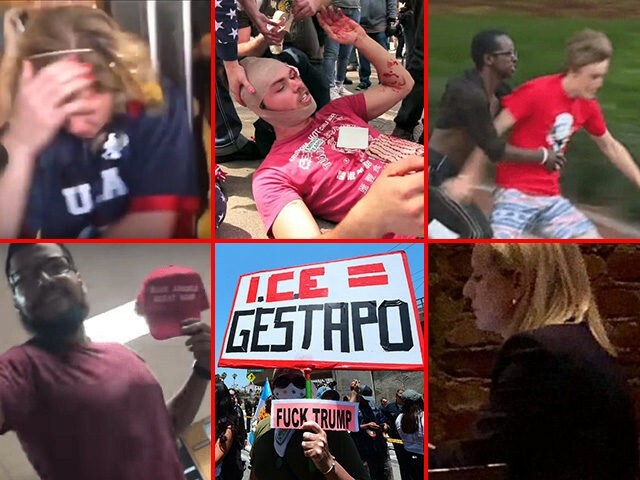 Breitbart’s John Nolte has documented all (or most) of the attacks against Trump supporters, and includes links to the stories about them. Breitbart also provides a link to a YouTube channel called Violence Against Trump Supporters, and their web page, Attacks On Trump Supporters. Here is Breitbart’s take on the Washington Post “fact check”. This entry was posted in Government, Media, News, Press Briefing, Uncategorized. Bookmark the permalink. Yet the left keeps trying to say that Conservatives are the ones creating all the violence. Thank you thank you Stella. This is just a continuation and escalation of what we went through during the campaign. Thankifully, we had LEOs that were willing to protect us during the worst of the attacks. Attacks that usually always occurred in a place where we would be disarmed. It was when we were alone we were most vulnerable. Personal stories I could share that would make your hair curl. And yes, it is provable that these were Democrats. Evidence that would stand up in court. Thanks for the list, Stella. Would that more ppl pay attention to this. Since ANTIFAers were not obeying the police yesterday & getting gased, flash banged & totally ran off by the police they wear claiming that that police were/are Anti-Americans.